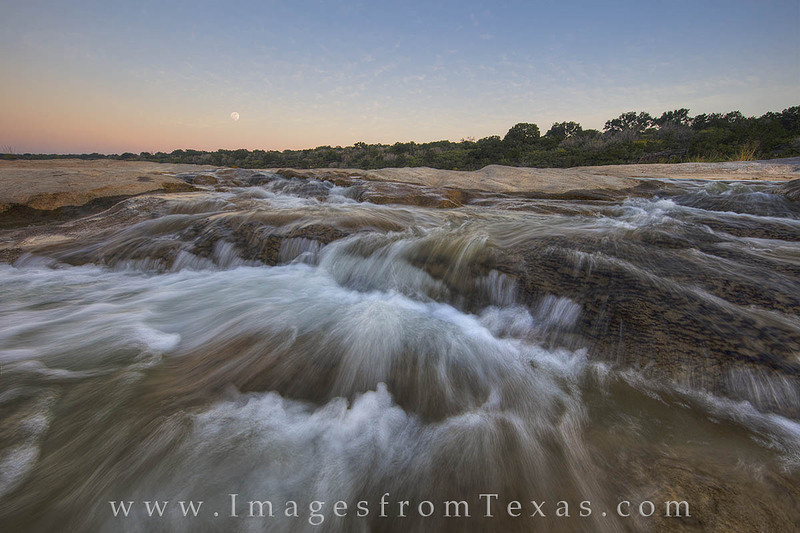 In the Texas Hill Country on an early September morning, the full moon sets in the west over a gentle cascade of the clear Pedernales River. I enjoy photographing scenes like this where I feel part of the action, especially since I'm standing knee deep in the water bracing my tripod to photograph this wonderful landscape. Photo © copyright by Rob Greebon.